ST. PAUL, Minn.--(BUSINESS WIRE)--The largest body of evidence detailing the clinical benefits of patient warming, recently updated and released today, offers scientific insights and instills confidence in temperature management best practices. The 3M™ Bair Hugger™ System Research Compendium includes summaries of over 200 studies across a wide range of surgeries, making it easy for clinicians to search the large volume of research related to the clinical benefits associated with the system. “When researchers investigate normothermia’s relationship to patient outcomes, the studies included in the compendium use the 3M Bair Hugger patient warming system, which has effectively warmed more than 200 million surgical patients worldwide—making it the most-used and most-studied patient warming modality. The compendium provides compelling, evidence-based validation of the safety and efficacy of the 3M Bair Hugger system,” said Al Van Duren, global director of scientific affairs and education, 3M Infection Prevention Division. Originally released in May 2016, the compendium was recently updated to include 15 additional studies. Notable updates include evaluations of forced-air warming use in arthroplasty procedures and expanded evidence on the practice of pre-warming. 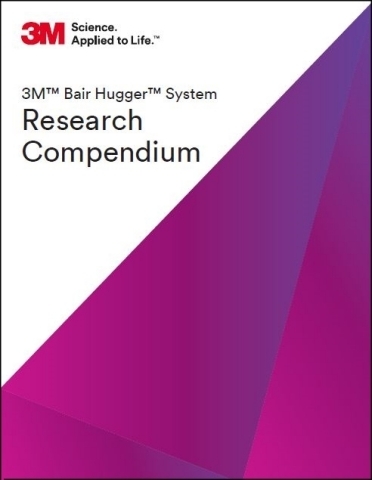 The compendium contains, among other sources, summaries of clinical investigation studies in which the Bair Hugger system is either the subject of, or used during. The peer-reviewed publications were identified through a comprehensive literature search, across multiple search engines and five databases including Medline, Embase, Biosis, Elsevier Biobase and Chemical Abstracts. 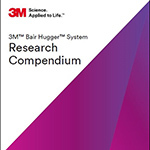 To download the full document, visit 3M Bair Hugger System Research Compendium. 3M and Bair Hugger are trademarks of 3M Company.